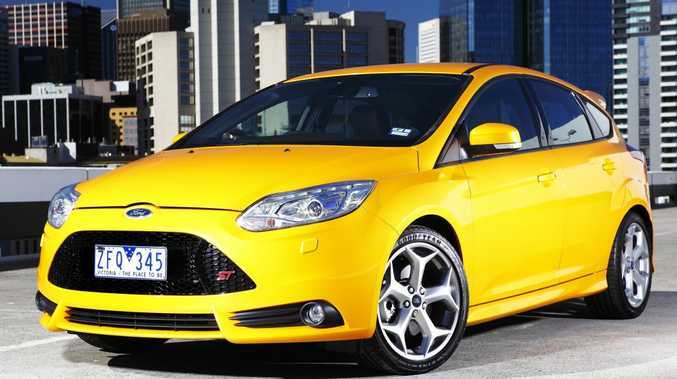 The Ford Focus ST's performance at this price is unbelievable. WOW! That's not usually a word that glides from my vocabulary. Frankly I think there are more descriptive words in the English language to express admiration of a sensational success. I'm also usually not generous in the compliments department, they need to be earned not bandied about willy nilly. Gushing embarrassingly is not for me. That was before I spent some time with the Ford Focus ST.
Now "wow" seems like the perfect word because so impressed were we that it is difficult to get out much else. By their very make-up, hot hatches should excite and impress. And as the sale of larger cars, even those of the performance variety, declines it is most likely that hot hatches with their economy and drive performance will excel. There are already some fine examples on the market but this Focus ST could very well eclipse them all. The interior of the Focus ST is a surprising delight. This hot hatch certainly looks like a sporty ride with logos stamped on the seats, mats, front door scuff plates and gear stick and trim to match the exterior colour. The performance gauges and dials give you a feeling of being seated in a cockpit preparing for take-off. 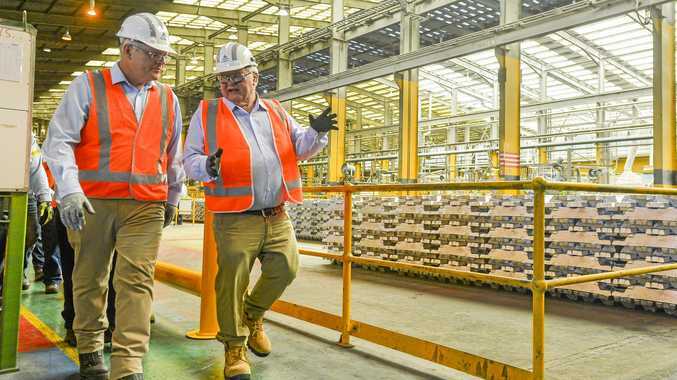 It is good to see that Ford has not let the reasonable price-tag affect the use of high-quality materials and there is not a cheap plastic or poor join in sight. Buckle up and get ready for one hell of a ride. The Focus ST has a smaller engine than its XR5 predecessor but with the added power and wide torque band there is little chance you will miss it. This is a car with balance and poise, a car that can be as subtle or as aggressive as the situation demands. The gear shift is comfortable and the gears easy to engage and silky smooth. The Focus ST blows its competitors away when it comes to inclusions even the European masters who are usually both stylish and generous. On the standard equipment list is dual-zone climate control, 18-inch alloys, LED day running lights, rain-sensing wipers, smart-key entry with push button ignition are all standard as is sat-nav, reverse camera, park assist and Ford's impressive SYNC in-car voice control audio and Bluetooth communication system with a five-inch display screen and nine-speaker audio system. A five-star ANCAP safety rating embraces features like driver, passenger, side curtain and side airbags, Anti-lock braking system with EBD and emergency brake assist, Hill Launch Assist, Dynamic Stability Control and front and rear sensors. Hot hatches are all the rage with the Renault Megane RS265 (from $39,990), the Volkswagen Golf GTI (from $42,640), Subaru WRX (from $39,990) and VW Scirocco (from $47,490) all revving at the start line. 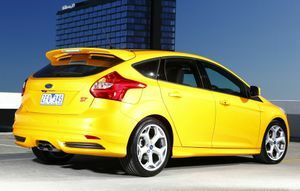 In the Focus ST Ford was hoping for a true global performance car, one that appealed to dynamic drivers wherever they were in the world. Well, there is little doubt they have found it. This performance at this price is unbelievable. Take one out for a test drive before the secret gets out. Details: Five-door front wheel drive hot hatch. Engine: 2.0-litre turbocharged GTDi Ecoboost generating maximum power of 184kW @ 5500rpm and peak torque of 360Nm between 2000rpm - 4500rpm. Consumption: 7.4 litres/100km (combined average). Performance: 0-100kmh in 6.5 seconds.